Lockout situations either at home or on the road can leave us baffled, but when it comes to business enterprises, they not just make us frustrated but will also affect the day's productivity badly. At Central Locksmith Store, we understand how important it is to address such commercial lockouts instantly. Lock damage, lost keys or failure of your high-end security system - all these may bring down the business and halt it for a day, if not addressed as quickly as possible. We have a team of experienced locksmiths with profound knowledge and skills to look into any type of locksmith or security issues. Business and commercial enterprises might have fortified their premises with high-end security systems to avoid any security threats. In such cases, while those security systems fail or do not work as intended, then you should definitely seek professional help from commercial locksmiths. Central Locksmith Store can offer reliable and affordable locksmith services to your business. 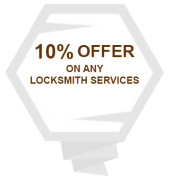 It has a team of experienced locksmiths who can diagnose the right solution for all commercial lockout problems. Immediate attention and repair is required for all types of lockouts, but when it comes to commercial spaces you cannot even afford a delay of minutes. Be it any time of the day, with our 24-hour emergency locksmith services, we can reach you in minutes to let you resume your business operation without further ado. It is always necessary that you hire only reliable and dependable locksmith professionals for all your business security issues. We at Central Locksmith Store have a trustworthy set of locksmiths whom we hire after a complete background scrutiny. Count on us completely for all you commercial lockout problems. To reach you anywhere in Los Angeles, CA, we have a set of mobile locksmith vans that are complete with high-end equipment and tools to resolve all types of locksmith and lockout issues. Unlike many other competitors who will exploit your emergency need to increase their cost, we never charge an extra penny for emergencies or on-the spot services. We resolve all types of commercial lockouts at very reasonable prices. With over a decade of excellent service in residential, commercial and auto locksmithing, Central Locksmith Store tops the chart as the best locksmithing firm in Los Angeles, CA. Facing a commercial lockout situation?  Call Central Locksmith Store and we will be right at your service!